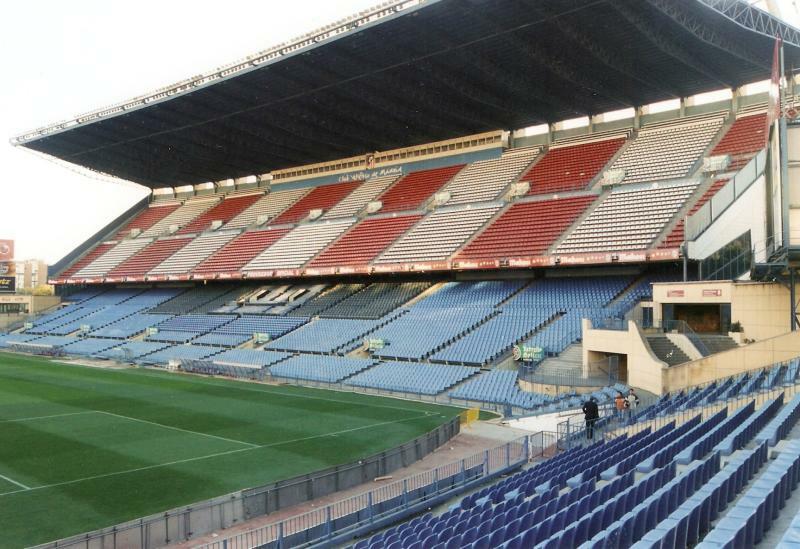 Estadio Vicente Calderón was built in the 1960s as the replacement for Atlético’s then-home Stadium Metropolitano. Stadium Metropolitano had been the home of Atlético since 1923, but had significantly aged and rivals Real Madrid had just opened the new Estadio Santiago Bernabéu. 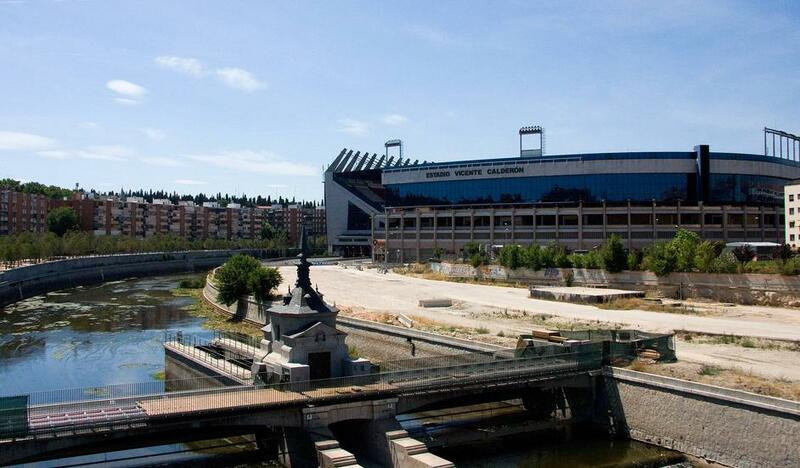 Land was bought on the southern edge of the city on the banks of the river Manzaneras, and while this land was technically closer to Madrid’s centre than the Metropolitano, many fans still objected to a site that was deemed outside of the city. Estadio Vicente Calderón officially opened on the 2nd of October 1966 with a league match between Atlético and Valencia (1-1), though construction of the main stand had not been finished yet due to funding problems. 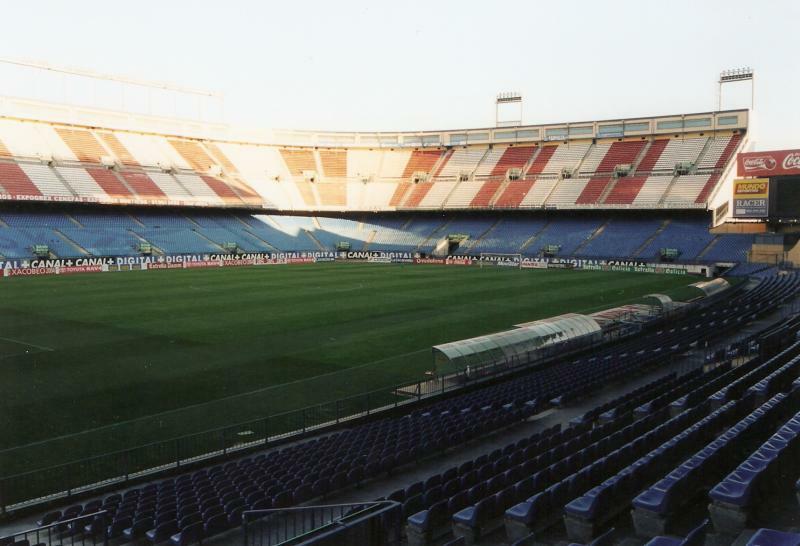 The stadium was finally completed in 1970, and then counted with a capacity of 62,000 seats and no standing areas, which made Estadio Vicente Calderón the first large all-seater stadium in Europe. 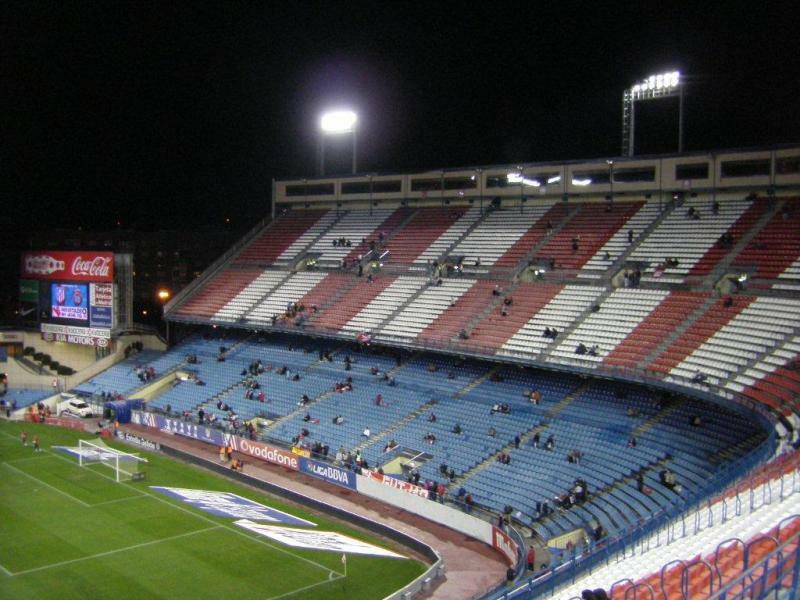 The stadium had initially been called Estadio de Manzaneras, but its name was changed in 1971 in honour of club-president Vicente Calderón, who had overseen the construction of the stadium. Estadio Vicente Calderón was selected as one of the playing venues of the 1982 World Cup, during which it hosted three second-round group matches. 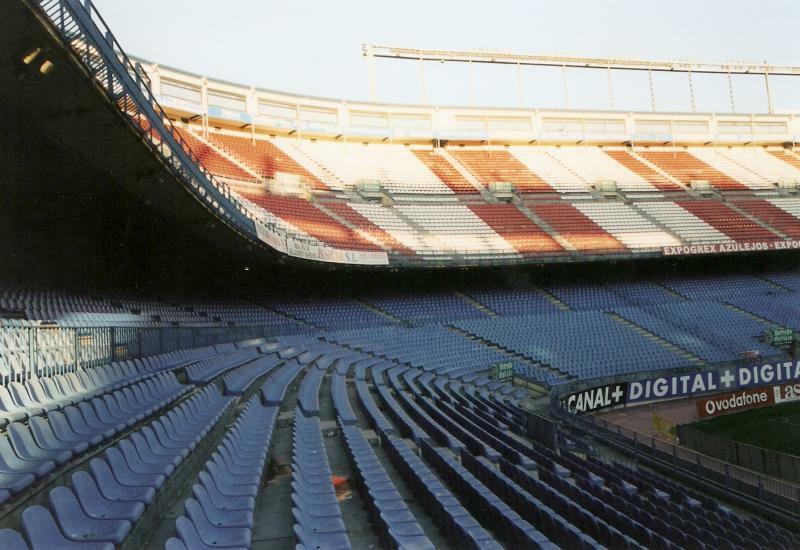 The stadium has changed little over the years, and only received a few refurbishments that included the installation of the red-white-and-blue seats, which also reduced capacity somewhat. 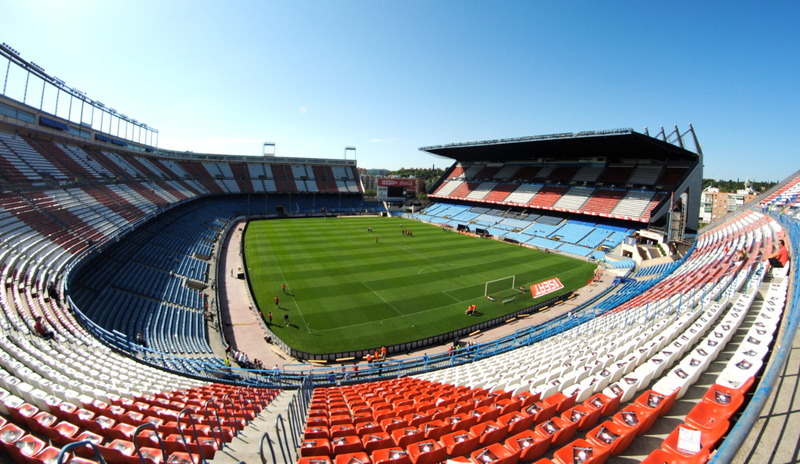 In 2011, Atletico announced plans to replace Estadio Vicente Calderon with a new stadium, Wanda Metropolitano, at the site of Estadio de la Peineta in the east of the city. Atletico stated the ambition to move into their new home in 2015, but works progressed slowly and completion was pushed back to the start of the 2017-18 season. 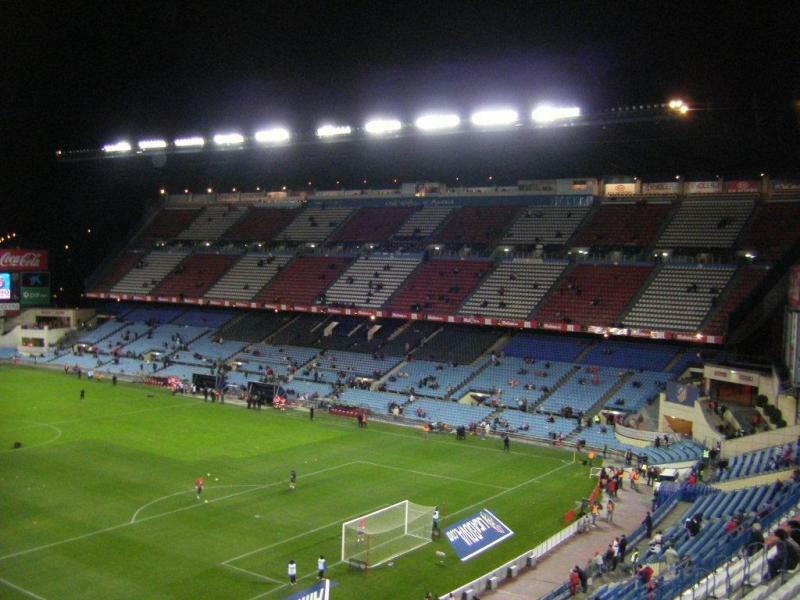 The last match at Estadio Vicente Calderon was played on 27 May 2017 when Barcelona and Alaves squared off for the Copa del Rey final. 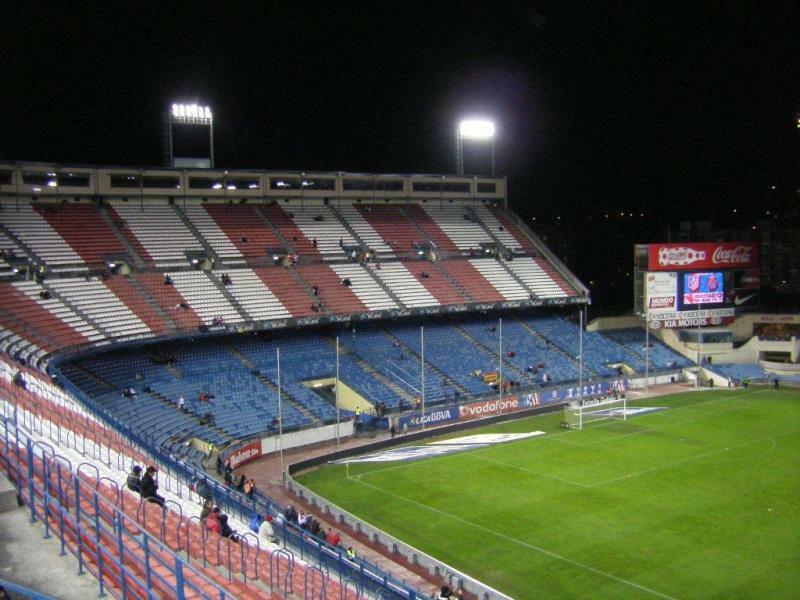 Six days earlier, Atletico had played their last match at the stadium: a league match versus Athletic (3-1). 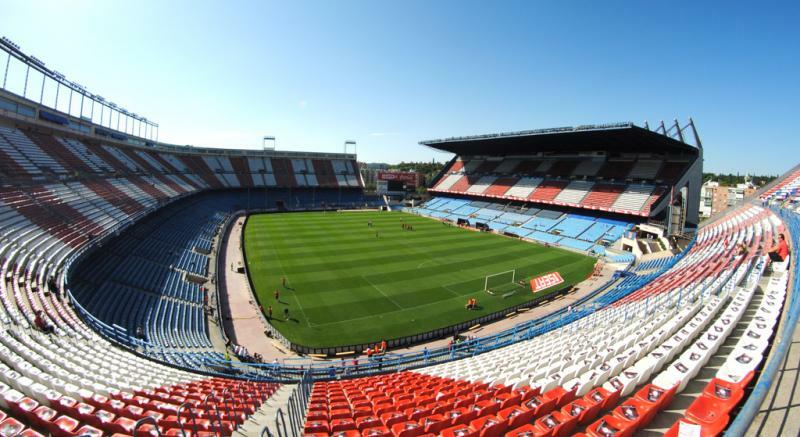 Following Atletico’s move to their new stadium, the Vicente Calderon will be demolished and replaced by a new development likely including apartment buildings and a park. 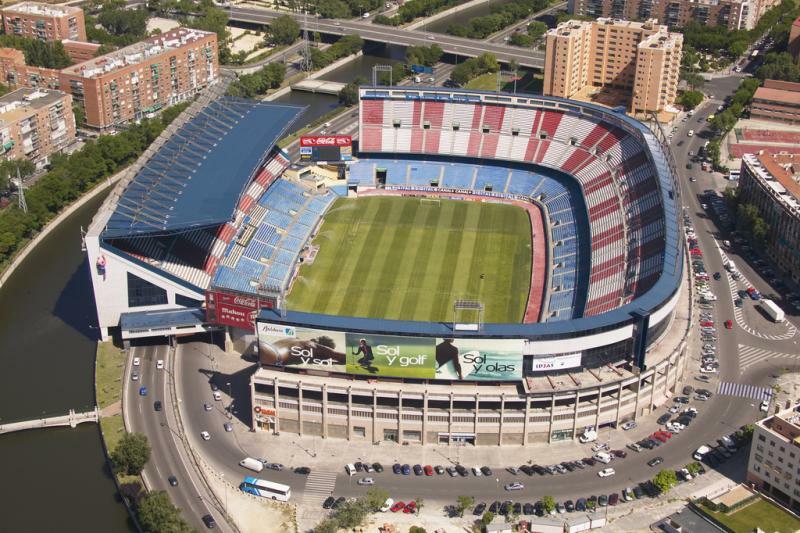 Estadio Vicente Calderón is located on the south-western edge of Madrid’s city centre, on the banks of the river Manzaneras and along the M-30 motorway which runs underneath the main stand. The stadium is an approximate 30 minutes walk from Plaza Mayor, and even less from Madrid’s Palacio Real, from where it is an almost straight walk south. The closest metro station is Pirámides, from where it is a 10-minute walk to the stadium. Pirámides lies on metro line 5, which crosses right through Madrid’s centre (e.g. stops Ópera, Callao, and Gran Via). Metro station Marques de Vadillo, also on line 5, but on the other side of the river, lies a 15-minute walk away from the stadium. Pirámides station is also served by Cercanía commuter trains. Line C-7 and C-10 connect the stadium with, among others, train stations Atocha and Chamartín. Estadio Vicente Calderón is located in a rather quiet urban neighbourhood, though not far away from the southern edge of Madrid’s city centre. There are a few bars and restaurants around, but it might be easier to eat or drink in the centre and then walk or take a metro to the stadium. If you wish to stay as close as possible to Estadio Vicente Calderón, then Hotel NH Ribera de Manzanares will be your pick. It lies almost adjacent to the stadium, gets good reviews, and a room costs about €100.00 per night. The Holiday Inn Pirámides is only a little further away, but also more affordable. Staying in the southern part of the city centre may be a better option if you want to include some sightseeing or head into the nightlife. Hotel Puerta de Toledo, Hotel Gavinet, and HRC Hotel get good reviews, are reasonably affordable, and no more than 15 minutes walking from either the stadium or the Plaza Mayor. 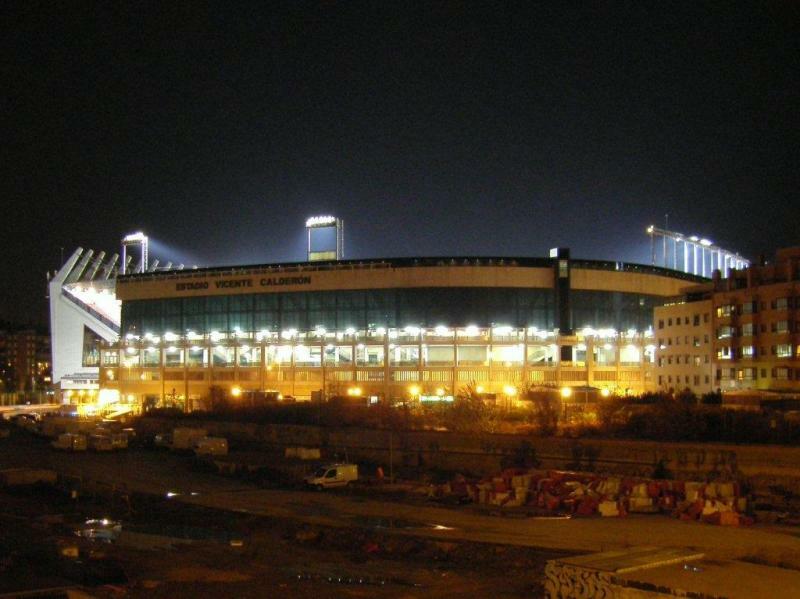 Click here for an overview of hotels near Estadio Vicente Calderón, and click here for hotels in Madrid’s city centre. Clubatleticodemadrid.com – Official website of Club Atlético de Madrid. Esmadrid.com – Official guide for the city of Madrid. Metromadrid.com – Travel information for the Madrid metro. Emtmadrid.es – Madrid public transport information. We had a wonderful visit in Early April for a night game. What an experience. Sad to hear they are moving away from the Cauldron it was wonderful. Looking forward to our first trip in a couple of weeks time… We’ve bought tickets online directly from Atletico for the Spanish Super Cup match v Real. They email the tickets to you so you just need to print them off at home. I visited the stadium in 2012. I was suprised how old and neglected it looked. However it is easily reached by public transport and supporters are very passionate. I would like to remark that nowdays you can reach to the stadium by bike very easily by the lineal park that runs along the Manzanares river. If you begin your trip towards the stadium at the Royal Palace side that faces the river, you can enjoy all the bridges (old and new) that have been designed throughout the years, and take a beer or refreshments on the stilish kiosks located each 500 m.